Emails are not always being sent from the system when they should be and I'm not sure why. I have set up some conditional logic to send out emails when certain parts of my form are submitted. I am confident that the conditionals I set up are correct because they are working 98% of the time but, recently, we are noticing that in some instances the emails are not being sent. I checked in the history log to make sure that it wasn't just a case of needing to whitelist the email address or the emails getting lost somewhere in our inboxes - according to the log the system simply never sent the emails. I am unsure how to proceed in troubleshooting this issue because, as I said, most of the time the emails are sending or some of the emails in the chain are sending and others are now. Any light you can shed on this would be great. You are probably referring to this form: http://www.jotform.us/form/71523656064153. I can see that you have different email recipients for multiple email notifications. Can you please let us know in which email address you are not receiving the notification? That is the correct form. Again – according to the history provided in my account through the activity log, it isn’t that the notifications are not being received, the system never logs sending them at all. For instance, I have conditionals set up so that if anyone from the psychology department submits the form, that application is then sent to two specific people – the next step is for one of those two people to approve the form and I have a conditional that says if the radio button ‘Approved’ is checked and the form is submitted, then casdean@albany.edu should be getting an email that says that the form has been approved. On multiple occasions this email has not been sent. Additionally, even if that step does work, we now have had one instance where the next step did not go through. After the first round of approvals there is a second round of approvals – if my office approves we fill in an approval date on the form and submit it again and it should be sending an email to the original party that submitted the form as well as the two people who approved it in the middle step, but this morning when we tried that didn’t happen. I am not saying this doesn’t work all the time, in fact it DOES work most of the time which makes this even more baffling to me. 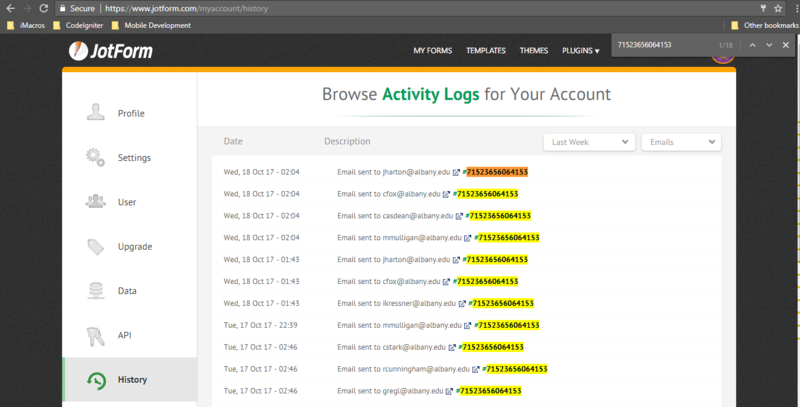 Are you referring to the history log in this page: https://www.jotform.com/myaccount/history? 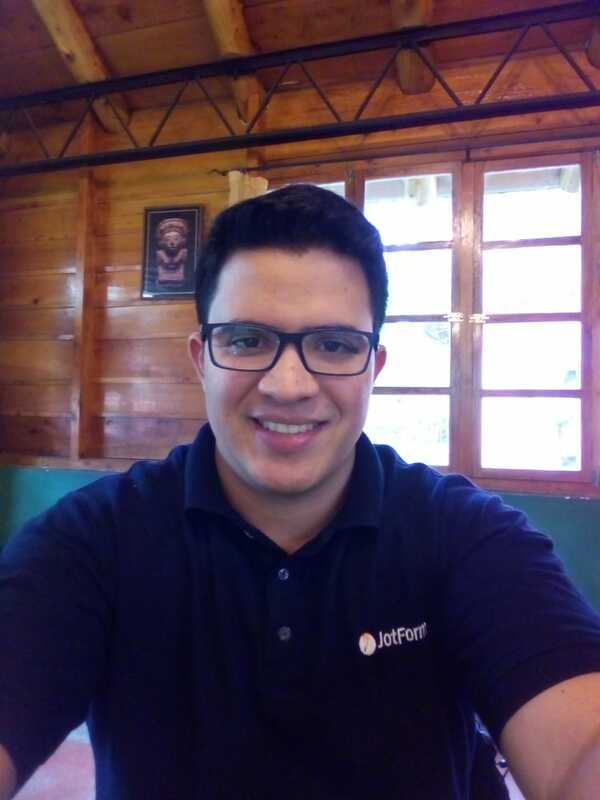 I can see that there are logs of email notifications sent for the form http://www.jotform.us/form/71523656064153. Yes that is the log I am referring to, and yes I understand that it shows emails are being sent – my issue is that it proves that some emails that should have been sent have not been sent. For instance – in my submissions you will see the second most recent one (submitted 2017-10-16 13:46:10) has ‘Approved’ under the category “Chairs Approval - I have reviewed the application and supporting materials.” When this radio button is selected and the form is submitted the system is set up to send the ‘Chair Approval Notification to Dean’s Office’ email that I set up in the Emails section to casdean@albany.edu and mmulligan@albany.edu (actually the conditionals are Approval date is empty and chairs approval is equal to approved which, as you can see, are met by the submission in question) this is the second setting from the top in the Conditionals section of my form. As you can also see from our log, this email was not sent out to either of the email addresses. The top two emails sent to casdean and mmulligan in that list were sent out about the submission that came in AFTER the one I am referencing. Apologies for the confusion caused by that screen. There were also instances before wherein emails that are actually sent are not logged there. Still, the best way to check is if you actually received (or not) the emails in the email addresses mentioned. 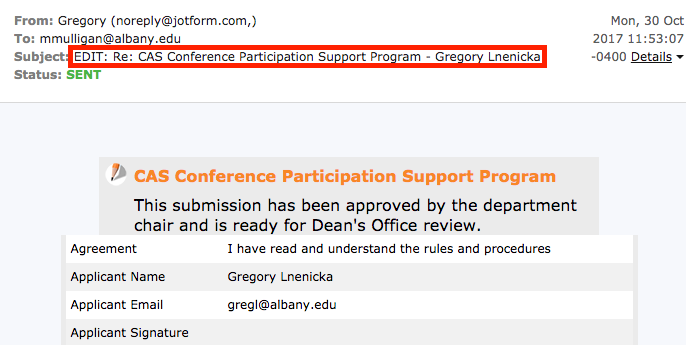 Can you please confirm that you actually did not receive those emails in casdean@albany.edu and mmulligan@albany.edu? Yes, mmulligan is my personal email and I have access to the casdean email. I have looked through the trash, spam and clutter folders and could not find them. You can create a default notification to any of those emails, and you will see that the notification is sent and received in your end. Please note that conditioned notifications will not be sent if the condition is not met. That is the reason why you are not finding the notifications anywhere(trash, spam, junks or inbox folder) in those email addresses or our mail logs. What needs to be revised are your conditions. Please provide us an example of a submission that was supposed to be sent to one of those email addresses, and also specify the condition that should have been met, so we can revise that if the way it was filled met the condition criteria. I have to respectfully disagree. It is NOT the conditionals that are wrong because for weeks now they have been working – if the conditionals were wrong they would never have worked and it’s a little annoying that you would jump to such a quick solution without actually seeming to look in to the problem at all. I am not saying my conditionals are infallible, certainly I would and can be open to adjusting them BUT THEY WORKED BEFORE and unless you can provide a reason that they are not working now I don’t believe that changing them is the solution. Please note that one is actually now third down from the top – ID 3839887699413987385 – and, the same conditional that apparently you think is faulty, DID SEND an email for the following submission ID 3840713878228904818. Please also note that for the other 41 forms that were submitted before that one, the conditional worked before you respond and tell me again that it is the conditional that is wrong. I apologize if my last reply seemed like an abrupt/rush solution. That was not my intention, I just wanted to double check and discard the possibility of conditions failure. Allow me sometime today to check further, based on the submission sample that did not trigger an notification. I'll get back with you later today. Thanks for your patience and understanding. There is not reason why it should not have been sent. I have forwarded this issue to our developers to get further help, probably there is something going on that we are not aware of. 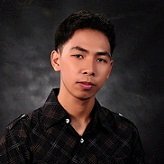 You will be notified via this thread about any updates on this matter. Thanks very much for looking in to this, I really appreciate it. That sounds great – thanks very much again for looking in to this and for all your help. I was just wondering if there are any updates or if any progress made on this issue? Unfortunately, we have not received any updates from our development team yet. There was a temporary error in our mail server that resulted in this problem. As I can see from the logs, mail for that submission is sent two days ago. It is triggered by an edit in submission and you can check it from the subject. Since it has same conditions as original submission, it is sent to recipients correctly. I have checked your other submission for past seven days to get a clear view regarding the problem and I didn't encounter with any. I will be paying close attention to your emails. Sorry for the inconvenience.